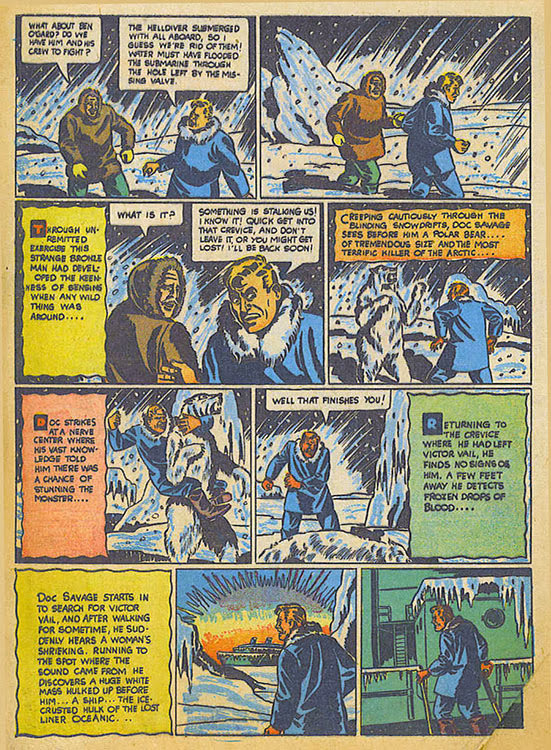 Hero Histories: Reading Room DOC SAVAGE "Polar Treasure"
Reading Room DOC SAVAGE "Polar Treasure"
...which was condensed into the shortest comics adaptation I've ever seen of a novel! 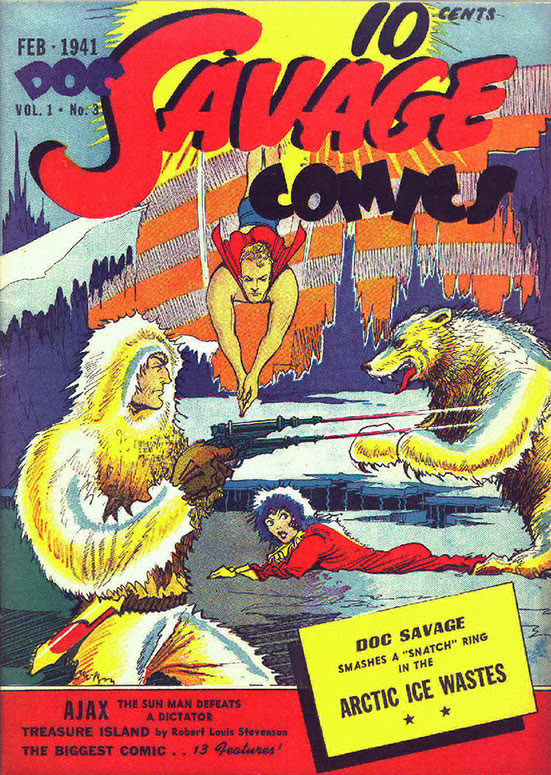 1) the flying man on the cover is Ajax the Sun Man, who had his own strip in the book. 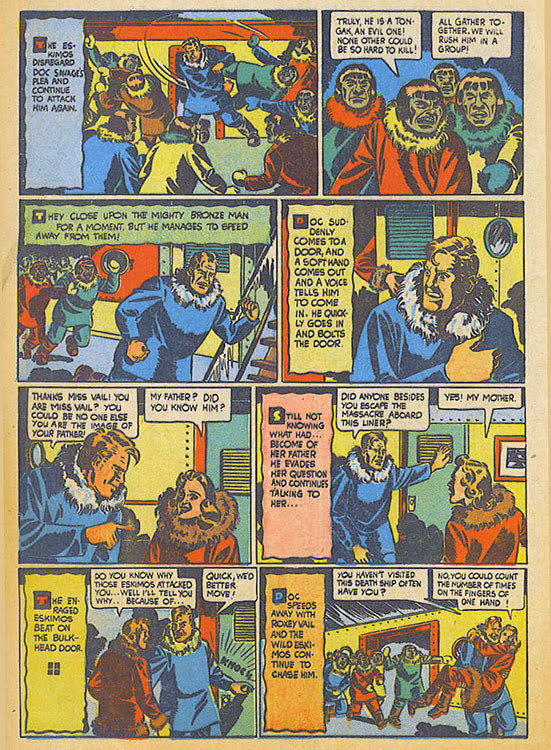 2) the story may be NSFW due to racial stereotypes common to the 1940s. 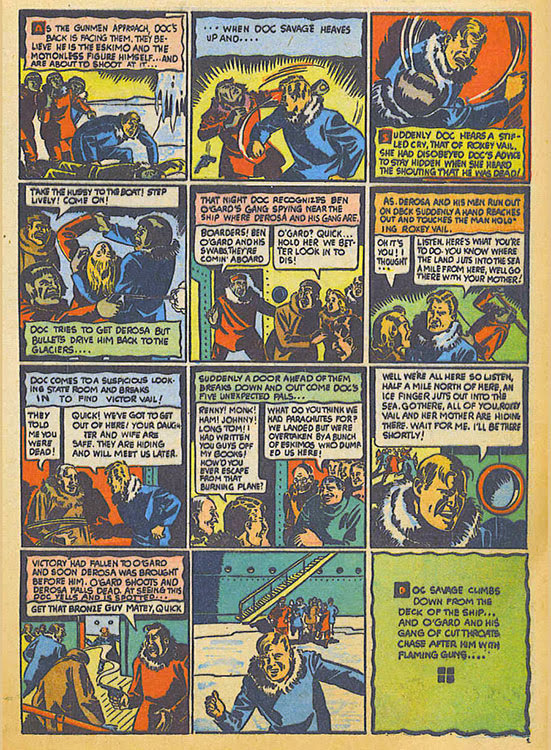 The first few issues of the 1940s Doc Savage Comics condensed and adapted Doc pulp novels. 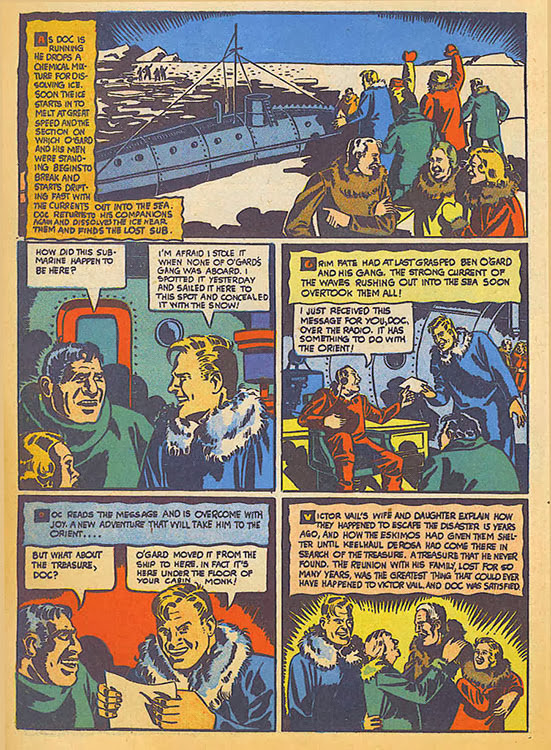 This issue (#3 from 1941) took the 1933 pulp tale "Polar Treasure" and fit it into only eight pages! 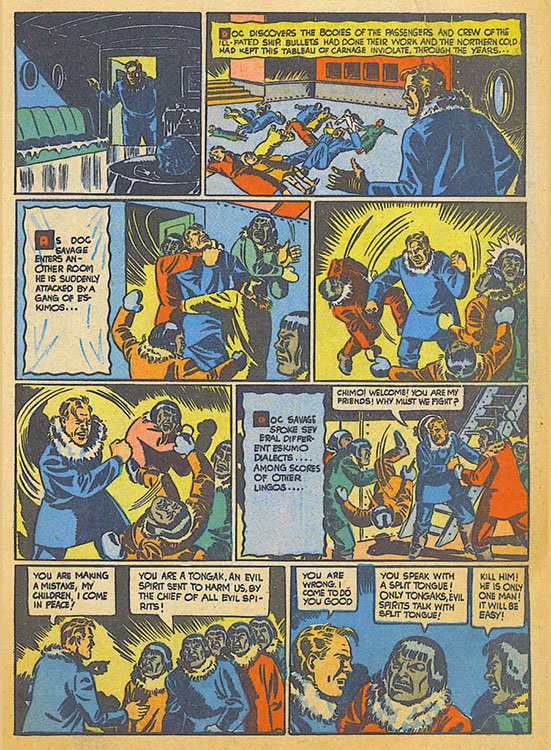 Both writer and artist of the adaptation and cover are unknown. 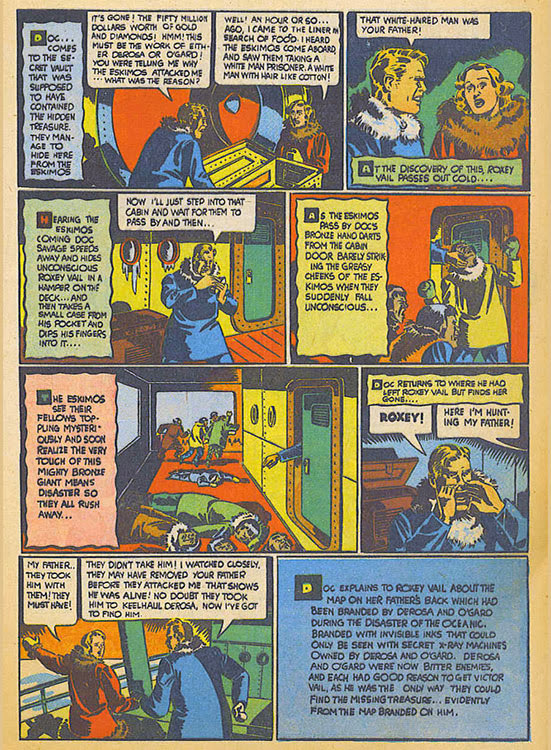 Lester Dent wrote the original novel under the "Kenneth Robeson" house pen-name. 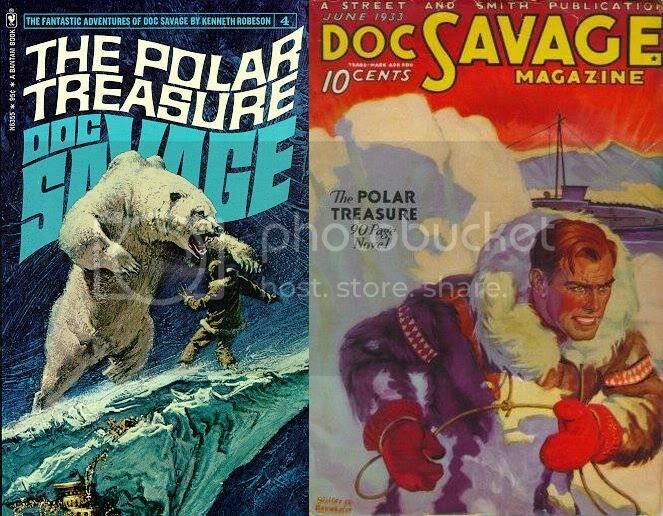 Trivia: both the original and paperback editions of the novel are #4 in their respective series. 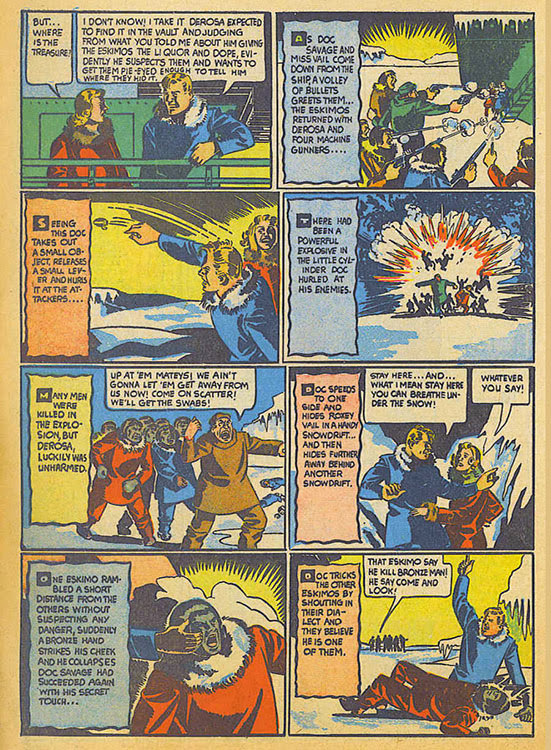 Bookmark us (if you haven't already) since we have a lot of cool never-reprinted material coming up this year! 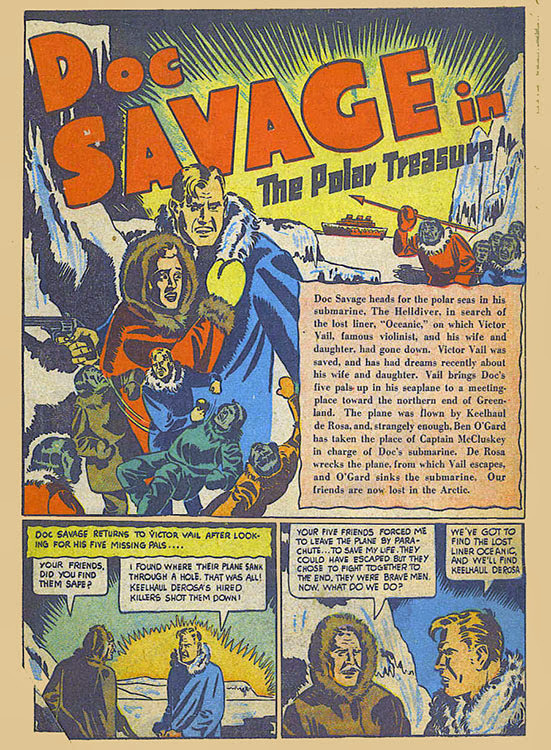 Polar treasure was not by either Lou or Jim Avati.